Long story short I got accepted into a study abroad program in Kobe in Japan for a whole year in order to work on my major which is Japanese Translation. I've been working at saving up money as well as finishing some class stuff over the summer, and this week I finally arrived! I will be living with a host family as well, I feel like I am truly lucky to get the chance to experience Japanese life so close, as such I'd like to share with you all some of the pictures and stories I've had along the way. Thanks to You for suggesting this blog as a good way to record the moments and share. 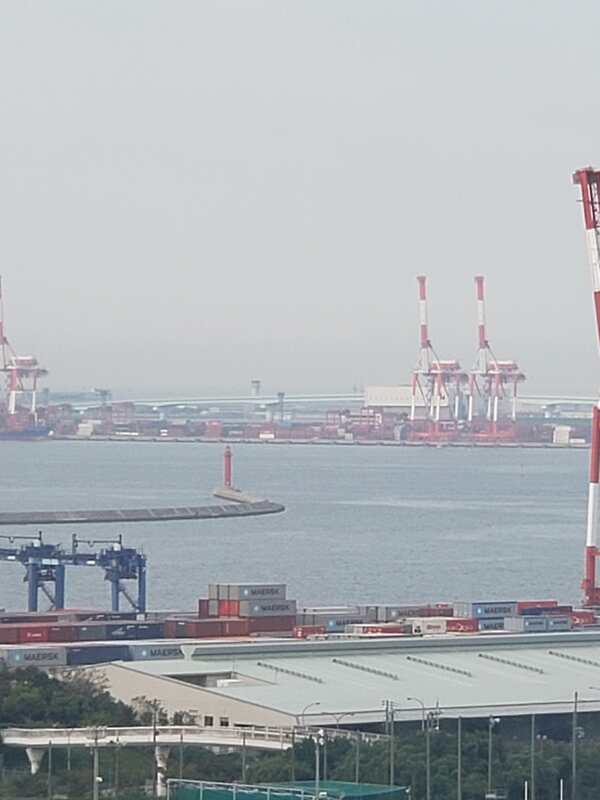 So when I came to Japan it was in the middle of the Jebi Typhoon, because of that the airport I was supposed to arrive in, KIX aka the Kobe Airport was flooded, additionally a tanker hit the bridge connecting it to the mainland so quite the fun turn of events. Because of this myself and the group of students I was travelling in had our flight cancelled which meant we were stuck in Incheon Airport over in South Korea for half a day. Though the airport was really nice it was quite the hectic day trying to figure out new tickets and being half asleep from the 14 hour flight over. Eventually we did get a route to Nagoya and after getting into contact with school we ended up getting a charter bus to the Kobe hotel we were staying in. For my first trip outside the US it was quite the ordeal! But in the end we made it safely there and I had a chance to hang out with my friends so it wasn't all bad lol. 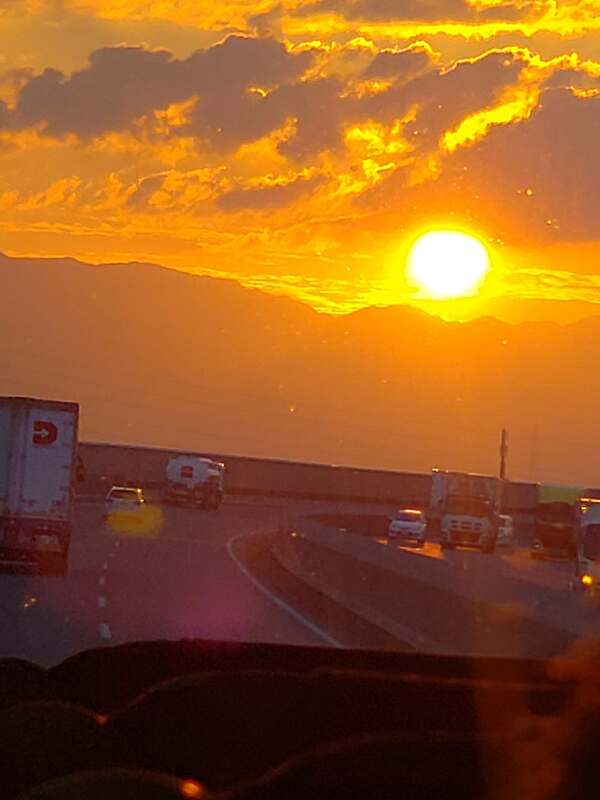 The sunset on the way to Kobe, it was quite pretty and driving straight through all the mountains and such was quite exciting though most of my classmates ended up sleeping through most of it due to the long journey we had just had. 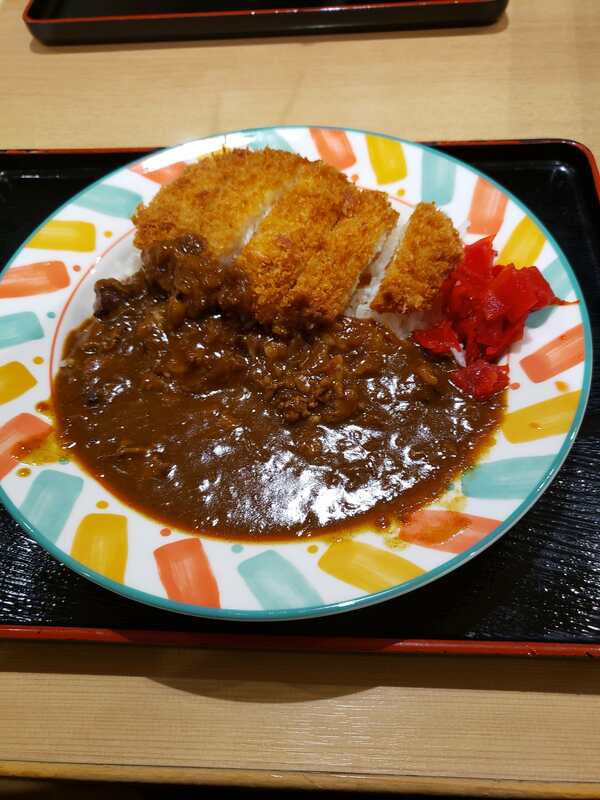 My first meal in Japan, カツカレー　or Pork Cutlet Curry. Despite finding it in a gas station it was some of the best food I'd ever tasted. Japanese food in general just feels so much more genuine and delicious compared to what I normally eat in the US. It's also quite a bit cheaper lol. Part of the mountains on the way to Kobe, where I'm from such mountains are quite rare, in Illinois it is just rows and rows of cornfields as far as the eye can see. So much so that you almost see the next town over no matter how far away it is. 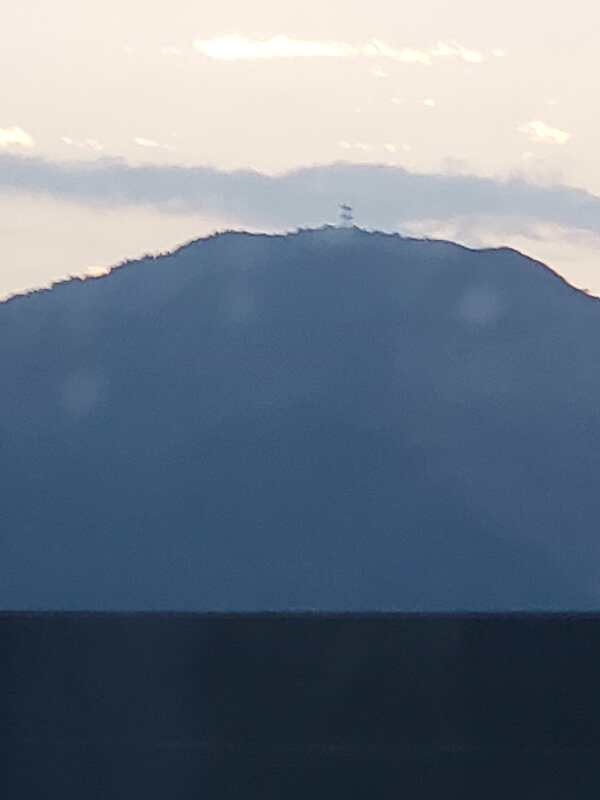 I look forward to trying to climb some of these mountains eventually though I don't think I'll be able to get far lol. When we finally got to the hotel I just crashed and slept, when morning came I got this view out the hotel window. If that is what I think it is, I look forward to eventually going on the whole Fuyuki tour! It was truly lucky getting the chance to see that bridge on my first real day in Japan! One more note, I know that all the scenes in Fate were really based off real locations but it is still funny to go there and see just how true that is. 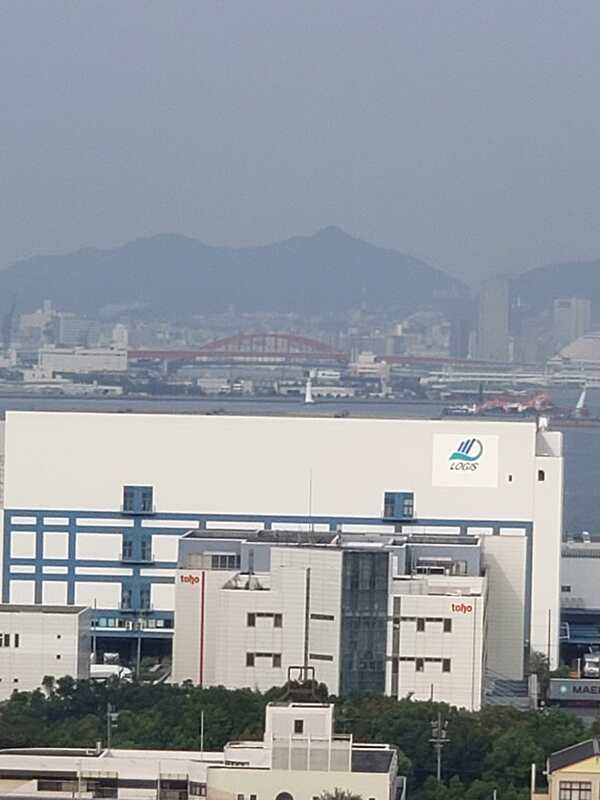 These warehouse type districts are scattered throughout the coast and it makes me wonder if Nasu and Co. Actually went to a bunch of them to get an idea for the various kinds of shots we see in the anime. That's all for now, my next few weeks will be quite hectic as my school semester starts up but I hope to do one of these every month that I'm in Japan. Eventually I will get around to trying the FGO Arcade game as well as going on the mandatory Fuyuki tour so look forward to that! I hope you all enjoyed this blog. I certainly am having quite the experience. Remember, brush up on your Japanese history. Be sure to get some video footage around the bridge. And possibly of the FGO arcade, but this is all just me being selfish. Ignore me. Actually don’t play FGO Arcade though it’s a money pit just like the vile beast that spawned it. You know it might have been. I just associated it with a gas station since there was one nearby but it also had a convenience store and showers and such. It was really nice compared to anything in the US. Heh I figured it would be a money trap but I feel like I am obligated to at least see it once. Seeing it is great. Watch over someone's shoulder. If you can find someone playing. Yeah the trailers make it look really cool at the very least. Just a shame it has to inherit so much of the bad from fgo as well.